TAMPA, FL (KTRK) -- Fans of Donald Trump show their support for him in various ways, whether it be signs, hats, buttons and shirts. But some people are getting a little creative in an effort to capture some attention. 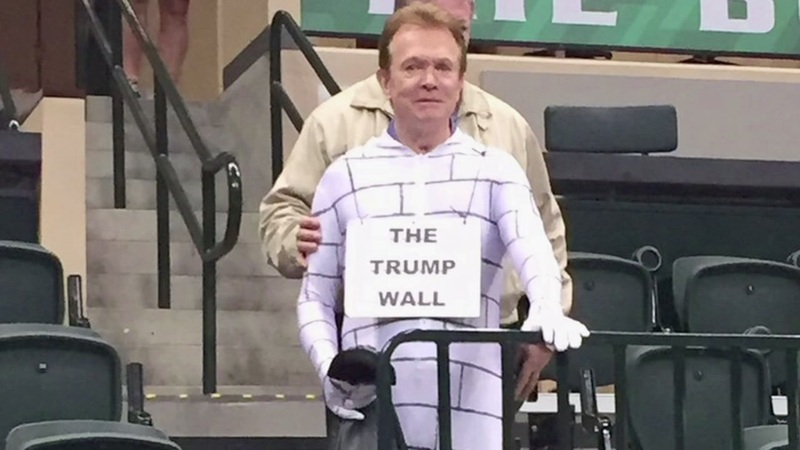 A man dressed like the infamous "Trump Wall" at the Republican presidential candidate's campaign rally in Tampa, Florida on Friday. Earlier in the week, a "Mini Trump" was spotted when a toddler sporting the Donald's hairdo got his hand autographed by the business mogul in Louisiana.